Dalmore whisky distillery is set in the Highlands region of Scotland. Located on the shoreline of the Cromarty Firth, 21 miles along the A9 north of Inverness close to the village of Alness. 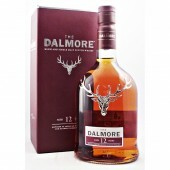 The Dalmore (dal-moor) malt whisky is matured in a combination of American oak and sherry casks giving the rich fruity style to its whiskies. Founded in 1839 by Alexander Matheson. A partner in the Hong Kong trading firm, Jardine Matheson & Co. This company at the time dealt in everything from tea to opium. 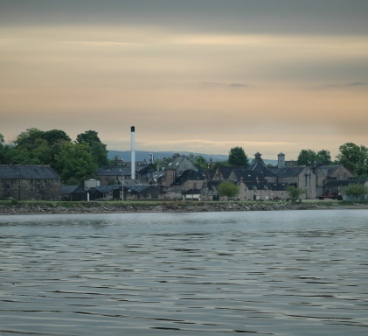 Distillation began with a single pair of stills, the distillery having acquired sole rights to draw its water from the River Alness. First the distillery was leased to the Sutherland family who handed over to Robert Pattison sometime during the 1860’s. The lease passed to the Mackenzie family in 1867, who eventually took full ownership in 1891. Andrew Mackenzie was the driving force of the Mackenzie brothers and cheekily included the word Speyside in their sales pitch for Dalmore whisky. A single branch railway line was used to connect the distillery with the main line at Alness station. This line allowed locally grown barley, peat and coal from the Fife collieries etc. to be delivered direct into the distillery. Also the pier at Belleport on the Cromarty Firth is part of the distillery, again this facility was used for shipments of barley, coals, coke and other stores to be unloaded directly from the steamers. During World War 1 Dalmore’s warehouses were requisitioned by the Admiralty as a Sea mine- production factory. £1 million worth of maturing whisky was transferred to three other local distilleries. In 1920 the warehousing was returned to distillery use and the whisky was transferred back, evidently with not a single cask missing. A Saladin box system of producing malt was installed in 1956 and continued to operate until 1981. The Mackenzies retained ownership until 1960 when the company merged with Whyte & Mackay forming the Dalmore-Whtye & Mackay Ltd.
1966 the number of stills increased from 4 to 8. 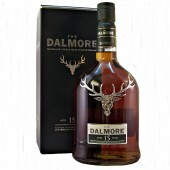 The Mackenzie connection is still remembered on the Dalmore labels with the stag’s head emblem of the Mackenzie clan. During 1990 American Brands purchases Whtye & Mackay Ltd. In 1996 ownership transferred to JBB (Greater Europe). After a management buyout JBB is bought from Fortune Brands changing the name briefly to Kyndal Spirits in 2001, returning to Whyte & Mackay the following year. United Spirits purchases Whtye & Mackay in 2007. Who themselves are acquired by Diageo in 2014. Later due to competition concerns Emperador Inc, part of conglomerate Alliance Global Group, buys Whyte & Mackay for £430 Million off Diageo in 2014. Dalmore’s whisky is used in all Whyte & Mackay blended whiskies. The essential process of distillation is carried out in the highly burnished copper stills, crafted by local coppersmiths and unique to The Dalmore, having a distinctive chunky shape. There are four pairs of stills, the latter four dating from 1966. 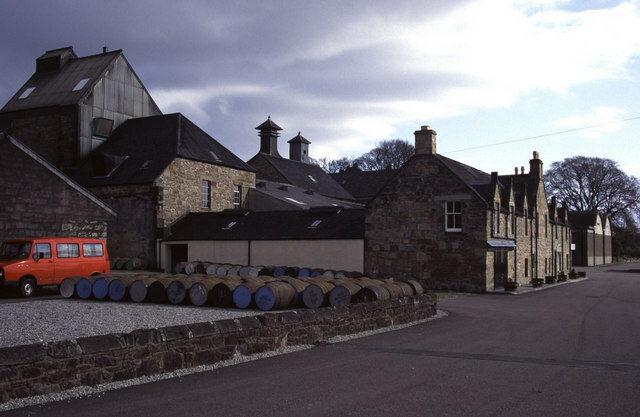 The Dalmore property covers 25 acres; majority of the space is taken up with the warehouses where the spirit matures. There are about 100,000 casks on site. Founded in 1839 by Alexander Matheson. Location; Highland region, Northern district, Cromarty Firth. 9.9 tonne Stainless steel semi lauter mash tun. 8 Oregon pine washbacks. Fermentation time of 50 hours. 2 large and 2 small spirit stills. The spirit stills have water cooling jackets fitted between the reflux bowls and necks to increase reflux. Matured in first fill American bourbon and selected Oloroso sherry casks. Married together in sherry butts prior to bottling. This combination of American oak and sherry casks giving the rich fruity style to its whiskies. The Dalmore whisky distillery visitors centre is well worth a visit and regularly run guided tours of the distillery throughout the course of the day. There is a high demand for these tours so pre booking is essential. 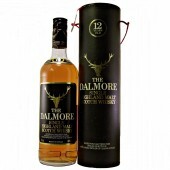 The Dalmore whisky distillery core range consits of 12 year, 15 year, 18 year and 25 year old single malts. With the cigar malt reserve and King Alexander limited editions. Further limited edition Vintages and ranges such as Fortuna, Regalis, Luceo , Dominium and Quitessence are released from time to time. Both Cadenhead and Connoisseurs Choice by Gordon and MacPhail release expressions of Dalmore Single malt whiskies.